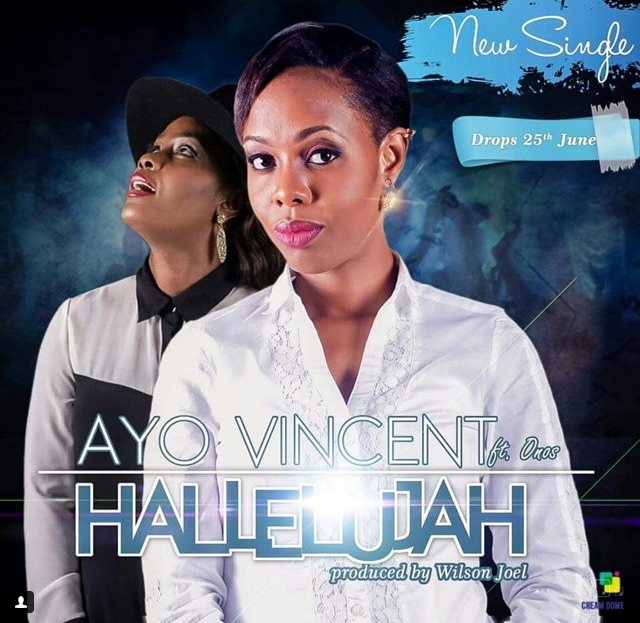 Gospel music diva Ayo Vincent drops her much anticipated single featuring Onos and produced by the prolific Wilson Joel titled "Hallelujah". Soulful, spirit lifting and rich in adoration to the Most High, Ayo Vincent and Onos reached quite a depth with this worship single complemented by the soul serenading tunes from Wilson Joel which will - without a doubt - take you into the presence of the most High. Ayo Vincent is using the single to commemorate her 10 years wedding anniversary. Join her in lifting up holy hands to Him who is worthy.